The Great Barrier Reef Marine Park Authority reports to the Minister responsible for the Environment. The Great Barrier Reef Marine Park Authority Board (referred to as the Authority Board) oversees the organisation and the current membership is listed below. The Chairperson and the Chief Executive Officer are board members. They are chosen by the Federal Minister for the Environment and are appointed by the Governor General. Public Services Act 1999 (PS Act). The Board meets a minimum of four times per year, however it can meet as many times as is required. Under new governance arrangements that began in October 2018, the Chief Executive Officer is responsible for the day-to-day operations of the Great Barrier Reef Marine Park Authority and is the Accountable Authority and Agency Head for the purposes of the PGPA Act and PS Act respectively. Assisting Australia in meeting its international obligations in relation to the World Heritage Convention. The Board may delegate its powers to enable agency staff to make decisions about operational matters that give effect to the board’s policies and guidelines (e.g. permit decisions). However, the Board doesn’t make decisions on how the Great Barrier Reef Marine Park Authority spends its budget. The Great Barrier Reef Marine Park Authority’s budget and expenditure is the responsibility of the Chief Executive Officer as the Accountable Authority. One member have tourism industry expertise. A summary is provided after each Authority Board meeting. Each summary will have regard for any privacy requirements, and include decisions that are required to be made public under the Australian Government's Information Publication Scheme (IPS). Dr Poiner has been appointed as Chairperson of the Great Barrier Reef Marine Park Authority for a term of four years and six months. Dr Poiner is a highly respected marine scientist with a long history of involvement in Great Barrier Reef science and conservation. His recent roles include Chair of the Australian and New Zealand International Ocean Discovery Program Consortium; Australia’s Integrated Marine Observing System; Marine National Facility Steering Committee; CSIRO Oceans and Atmosphere Advisory Committee; and the Reef and Rainforest Research Centre. 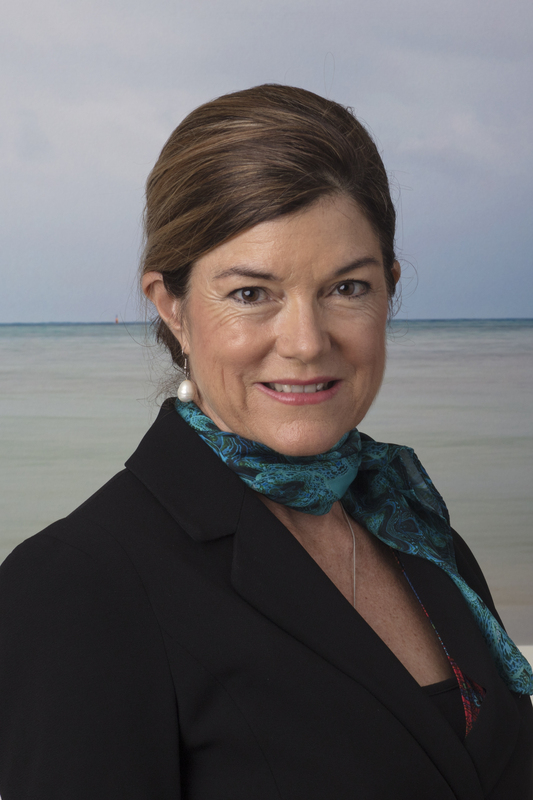 Following a successful research career at CSIRO (1985-2004), Dr Poiner served as the Chief Executive Officer of the Australian Institute of Marine Science from 2004 to 2011. He was a member of the International Scientific Steering Committee of the Census of Marine Life from 2002 and its Chair from 2007 to 2013. From 2012 to 2016 he was Chair of the Gladstone Healthy Harbour Partnership Science Panel. In 2008, Dr Poiner was appointed a Fellow of the Australian Academy of Technological Sciences and Engineering in recognition of his leadership of research and development based enterprises for the benefit of marine science, the conservation some of the most iconic marine life and marine habitats on earth including the Great Barrier Reef, and the development of marine industry. In 2013, James Cook University awarded Dr Poiner an Honorary Doctor of Science in recognition of his outstanding service and distinguished public contribution to the northern Queensland community and exceptional service rendered to the University, comprising of academic excellence and the exercise of outstanding leadership. Dr Poiner holds a BSc Hons 1A Zoology and PhD Zoology from the University of Queensland. 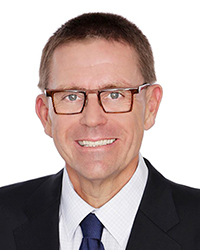 Mr Thomas was appointed Chief Executive Officer of the Great Barrier Reef Marine Park Authority in 2019 for a term of five years. Mr Thomas has over 15 years experience in the public and private sector in Australia and overseas. He has helped shape and lead environmental policy and programs for the Great Barrier Reef and in terrestrial natural resource management. Mr Thomas has worked in a number of senior public sector roles and across the environment, agriculture and finance portfolios. He has a strong track record of public engagement on matters affecting Australia’s World Heritage sites, and through major environmental programs such as the Biodiversity Fund and Caring for our Country. Mr Thomas’ policy experience in the marine environment extends across the Great Barrier Reef and its catchments, migratory and endangered species, whaling matters, marine parks and Antarctica. He is committed to enhancing Australia’s natural environment and has been a strong advocate for incorporating both contemporary science and Indigenous traditional knowledge into environmental management throughout his career. Mr Thomas lives in Townsville and holds a Master of International Affairs, Bachelor of Science, and Bachelor of Arts (Honours). Dave Stewart was appointed Director-General of the Department of the Premier and Cabinet in February 2015. Prior to this role he was the Secretary for Transport for New South Wales, where he led around 27,000 people shaping planning, policy and delivery of public transport, roads and freight across New South Wales. After a long career in local government, and engineering construction in Australia and the United Kingdom, Dave joined the Queensland Government in 2006 as Deputy Coordinator-General within the Department of Infrastructure and Planning, where he was responsible for delivering major water and road projects. From June 2008 he was the Director-General of Queensland Transport and then the Department of Transport and Main Roads, overseeing the integration of organisations to a new customer-focused model. His primary responsibility was transport leadership including strategic policy and planning, system stewardship, infrastructure delivery and service delivery. One of his highlights as the Director-General has been participating in the community champions program for Indigenous communities, where he regularly visited Gulf communities and assisted them with accessing much-needed government services. He is passionate about regional Queensland and engaging directly with residents, business, government and community leaders. He is a civil engineer and holds Masters Degrees in Business and Engineering Science. He completed an executive program at Harvard University looking at private sector involvement in infrastructure delivery. He is a Fellow of Engineers Australia and an Honorary Fellow, Chartered Institute of Transport and Logistics. Mr Stewart was appointed as a member of the Authority Board on 23 July 2015 for a three-year term, concluding on 22 July 2018 and was recently re-appointed the Queensland member of the Authority Board on 21 June 2018 for a five-year period commencing from 23 July 2018. Emma Johnston is an award winning scientist, educator and communicator and a Professor of marine ecology and ecotoxicology at the UNSW Sydney. Professor Johnston investigates human impacts in marine ecosystems with a particular emphasis on stress ecology, invasion biology and the development of bio-monitoring tools. Emma has published more than 138 refereed papers in coastal ecology. She graduated with a BSc. (Hons) from the University of Melbourne in 1997 and a PhD from the University of Melbourne in 2002. Professor Johnston has led more than 20 major research projects for industry, government, the Australian Research Council and the Australian Antarctic Science Program. From 2010-2014 she was an Australian Research Fellow for the Australian Research Council and in 2012 became the inaugural Director of the flagship Sydney Harbour Research Program for the Sydney Institute of Marine Science. She is currently President of Science & Technology Australia and Dean of Science at UNSW. Professor Johnston has received a string of awards including the inaugural Australian Academy of Science Nancy Millis Medal (2014), the Eureka Prize for the public communication of science (2015) and the Hynes Award from the Canadian Rivers Institute (2016). 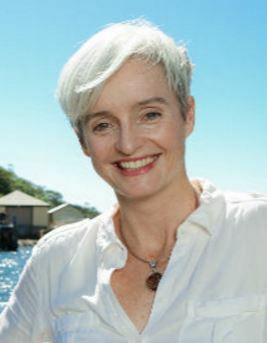 In 2018 Emma received an AO Office of the Order of Australia 'for distinguished service to higher education, particularly to marine ecology and ecotoxicology, as an academic, researcher and administrator, and to scientific institutes' and was awarded the 2018 Royal Society of NSW Clarke Medal (Zoology). She consults with industry through the development and implementation of new biomonitoring techniques and environmental monitoring programs and frequently contributes expert opinion to state, federal & international government agencies. She was appointed as a member of the Authority on 5 May 2016 for a five-year term concluding on 4 May 2021. Wendy developed a passion for the Reef while sailing and exploring the Far Northern Reefs after arriving in Port Douglas in 1974. After graduating from James Cook University with a BSc in Marine Biology/Zoology, she subsequently completed an Honours degree at Murdoch University with a thesis on desert bird communities. She started the first marine biologist guided snorkelling with her company Reef Biosearch on Quicksilver from Port Douglas in 1986, and continues to be a frequent Reef explorer and photographer. Since 1990 Wendy has been involved in the marketing and management of multiple tourism businesses including reef charter vessels, hotels, resorts and attractions. Through her family’s company, she was recently involved in the successful establishment of the Mt Emerald Windfarm on the Atherton Tablelands. Apart from private companies, board appointments have included Tourism and Events Queensland, Tourism Port Douglas Daintree, Advance Cairns, Citizens of the Great Barrier Reef and she is currently Chair of Tourism Tropical North Queensland. She is also a graduate of the Australian Institute of Company Directors. In 2017 Wendy was awarded the Marie Watson Blake Award for Outstanding Contribution by an Individual by the Queensland Tourism Industry Council. Ms Morris was appointed a part-time member of the Authority for five years effective from 7 February 2019.